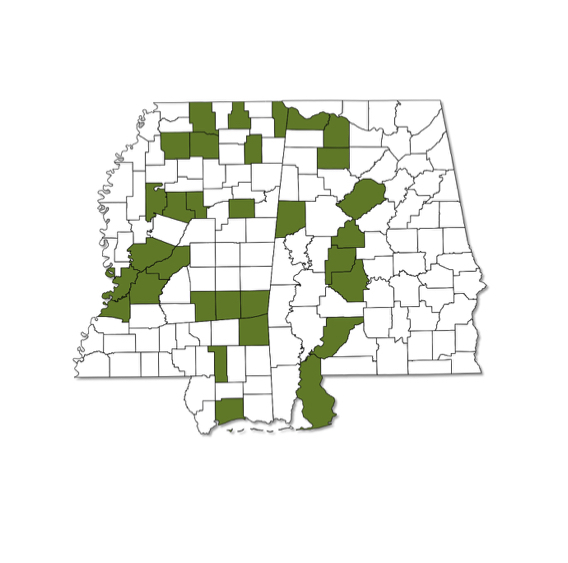 Widely scattered throughout Mississippi and the western half of Alabama. A small, low flying species that is most common in our area in late summer and fall. Two black spots on the ventral surface of the forewing are diagnostic. Winter form has more dark pigmentation than summer form.